USEA is partnering with North America’s largest solar and storage trade show, Solar Power International (SPI) and Energy Storage International (ESI) in offering a 15% discount to this year’s conference. USEA will also have a presence throughout the trade show to help promote SPI 2019 in SLC. Networking Events – In addition to included networking events, there are a few unique opportunities as well! Take 15% off your Full Conference Registration. This is only eligible if you are not a SEIA (national) or SEPA member. 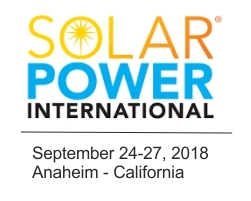 We hope you join us where the solar industry meets, at Solar Power International!